This job is a brilliant example of just how effective combining different print technique can be. Excel manufacturing specialises in window blinds and window finishing’s, they offer 1000’s of fabrics to their clients. 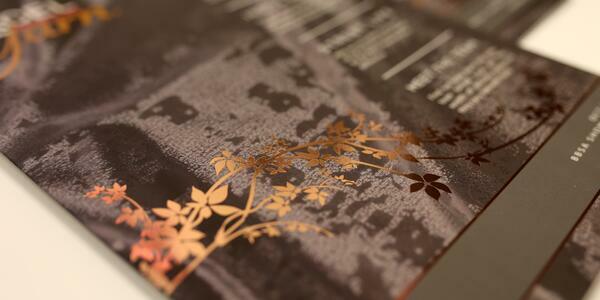 What better way to reflect the soft texture of fabric than using soft touch lamination. This issue of the magazine was created to showcase at the BBSA Show, at an event like this standing our from your competition is vital. The dark tones in the cover design and matte velvet like finish of the soft touch laminate used give the rose gold foil a show-stopping shine. Not only does it grab your attention, the beautiful leaf design adds a dash of their latest collection. Great design and quality print go hand in hand. The images throughout the magazine are vibrant, crisp and clear showing off Excel’s range of products looking their absolute best, all thanks to a blast of LED UV. 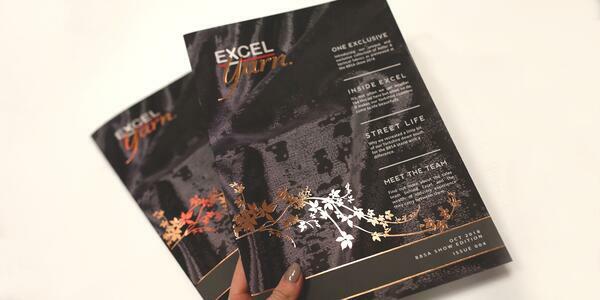 Excel said, ‘We’ve had great feedback on this issue as ‘the best yet’ with the cover designed to match our new fabric collection boxes with the same foiling leaf design but it’s the soft touch lamination that is always coveted the most! LIKED excel manufacturing ltd's JOB? 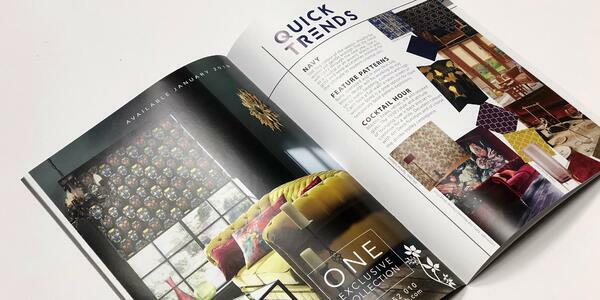 Successful projects like this one are a brilliant example of the unique, bespoke requests we can take on, print can be way more than just a leaflet, or brochure. Who knew fabric collections could look so sleek? 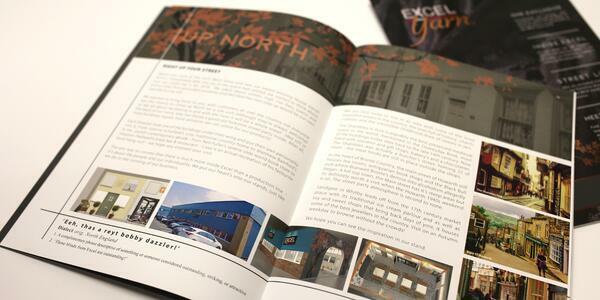 Well Excel Manufacturing Ltd did and thanks to our printing abilities we have managed to bring their vision of a vibrant, eye-catching magazine to life.